Battle lines are drawn. Trump’s FFC chairman Ajit Pai is on record against Net Neutrality, saying its days are numbered. He took the first step. On November 22, he’ll publish his plan to kill digital democracy, letting users access all content without restrictions, limitations, or discrimination, an online level playing field for everyone – on the 54th anniversary of Jack Kennedy’s state-sponsored assassination. His plan will let ISP giants establish toll roads or premium lanes, charge extra for speed and free and easy access, control content, as well as stifle dissent and independent thought – a dismal prospect. His order will also ban states from imposing their own Net Neutrality rules, forbidding them from overriding federal regulations. He’ll reverse Title II classification of ISPs, classifying them as common carriers, restricting their actions, an “information service” classification replacing it. A federal court ruled it’s less comprehensive, weakening consumer protections. 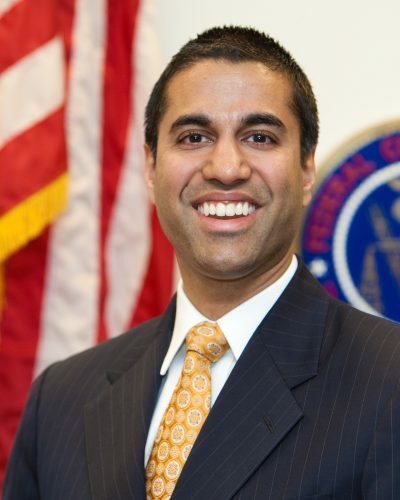 On December 14, FCC commissioners will vote on Pai’s plan, approval almost certain with a GOP majority. Rules he’ll establish ISP giants like Comcast, AT&T and Verizon are designed exclusively for maximum profit-making, not consumer protections or service the way it should be for everyone. Once changes are made and take effect, likely in January, the Internet won’t resemble the way it is now. “The FCC (is) abdicat(ing) a fundamental responsibility” to assure competition, along with “protect(ing) consumer” rights. Once voted on and approved, new policies will be published in the Federal Register and take effect in weeks. Congressional legislation can rescind them – unlikely with GOP control and Trump as president. Whether virtually certain court battles can change things remains to be seen.